Baseball has been an all-time favorite sport of families for many generations. 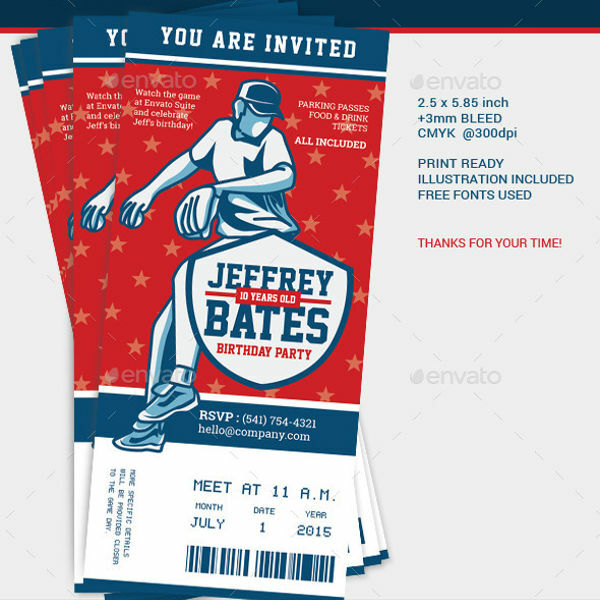 That is why it does not come as a surprise for one to make invitation cards with this sport as a theme. 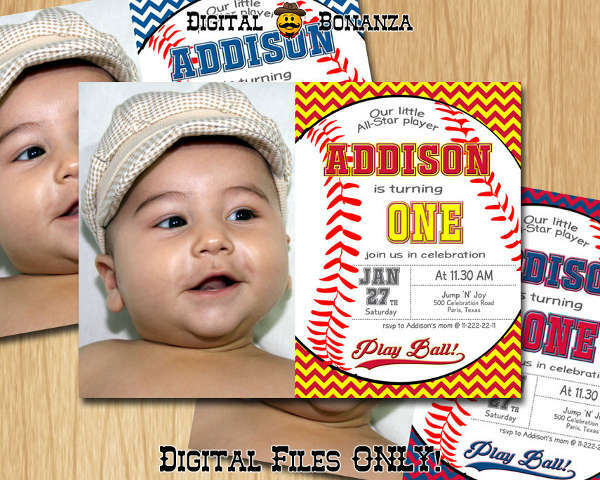 It can be used for any occasion and by anyone of all ages.The invitations you can have can be from an array of templates from online collections. You can download these cards and customize them or you can directly print the cards and send it to anyone. You can also do your own with new ideas to get from the examples. See what you can make use now and start your own! Every invitation is unique. Some would be in half-fold format while others are just a one-page card. Regardless, the parts of an invitation remain the same. Familiarity with these parts will help you make invitations faster and easier. This is the most eye-catching part of your invitation. 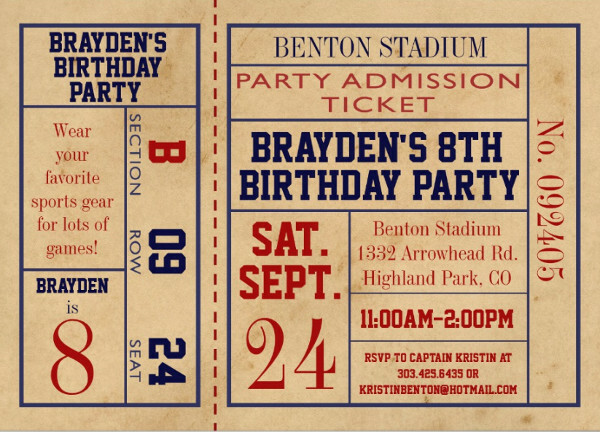 This is where you state the purpose of you invitation, whether for birthdays, anniversaries, or other events. This part will easily stand out because they are mostly in larger fonts and in different font styles. 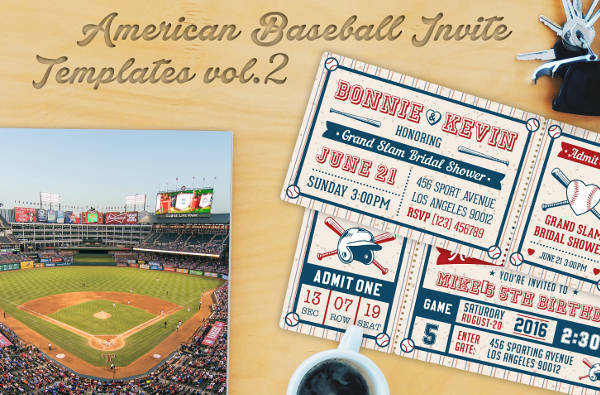 A well-done header makes a good impact on how an invitation template looks like. These are the rest of the texts that you will be writing in an invitation template. This includes the quotes you might have written, date, time, venue, RSVP and contact detail, and the likes. Make this portion of your invitation very clear in order to avoid confusion on the part of your guests. 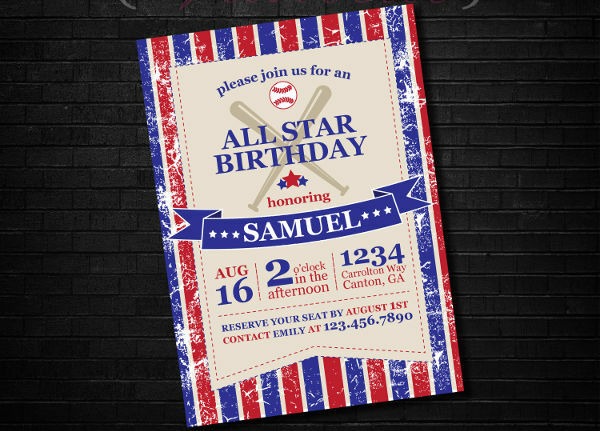 Designs in an invitation also play an equal value in comparison to the content and headline. Select designs that are attractive and that you will know will make guests more interested to join the event. 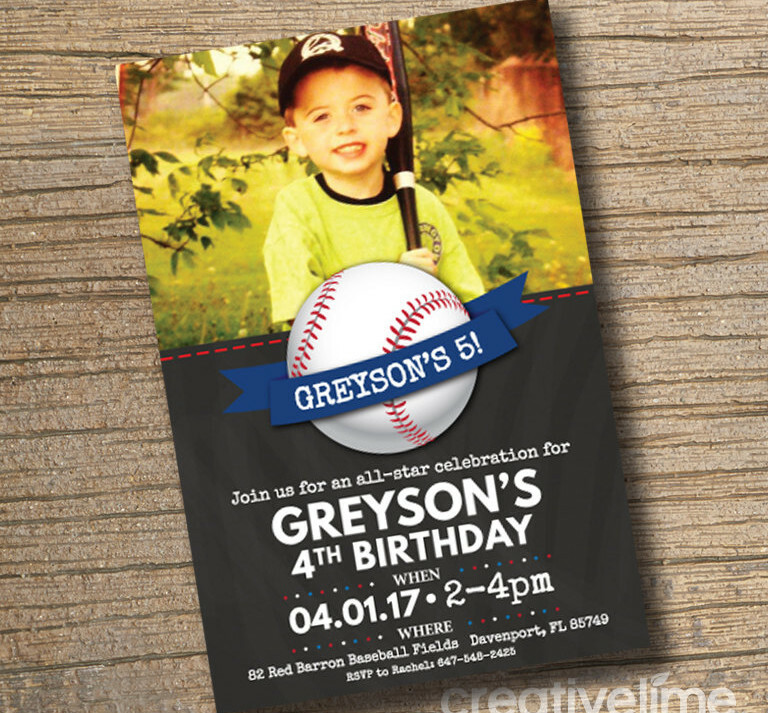 When sending party invitations, you want your cards to be as free of mistakes as they can be. You would want invites that will easily impress people consequently making them want to attend whatever event you were inviting them to. 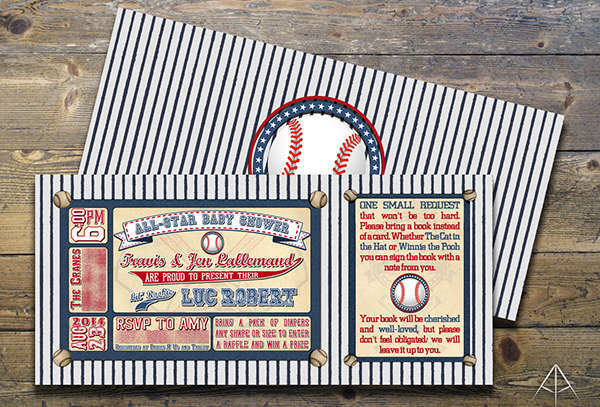 One way put them at awe is by sending some creative baseball-themed invitations. So how can you perfect them? We have some tips listed below! Review your work. Avoid error by going through your final layout. If you used an eagle’s view of the baseball court as background, make sure that the lines are not crooked and the bases and plates are in the right place. Also, look thoroughly for grammatical errors, spelling mistakes, and other common oversights that probably missed. Avoid revising the whole batch of invitations because of a mistake that you didn’t notice beforehand. Set the right mood for invitations. 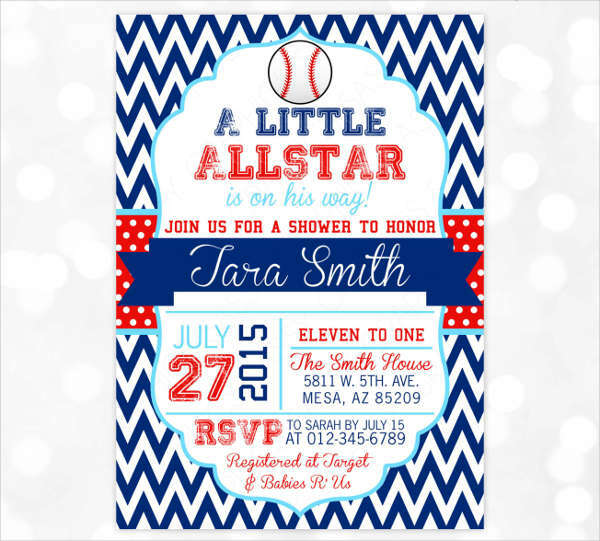 The invitations you send will raise the expectation of your guests. If the design is a little too dull, guests might not get interested in the event. Put life into your invitations to draw more enthusiasm. 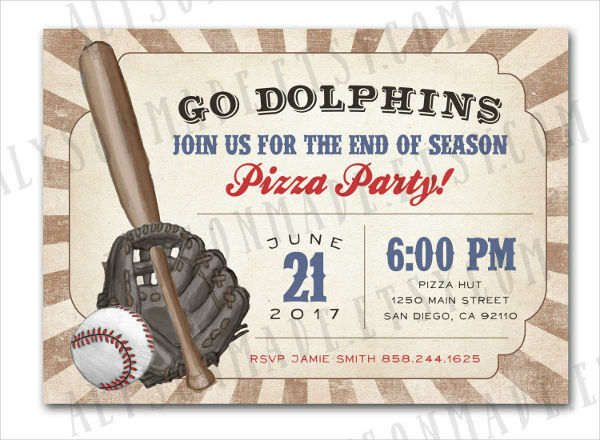 Use images to make it more appealing.For one, you can edit a photo of the celebrant and attach it to a baseball player’s body. Hand write the envelopes. 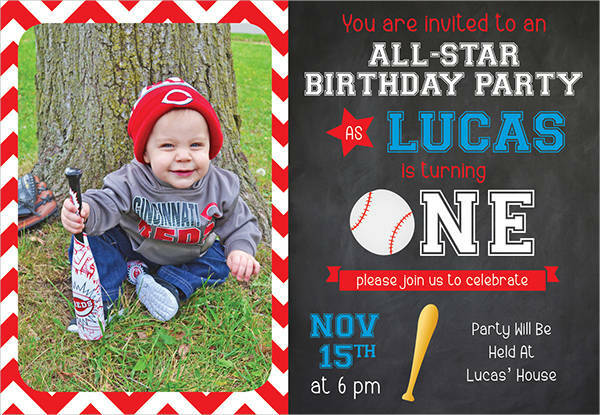 One trick to make an invitation special is by putting it in individual envelopes with the recipient’s name on it. You don’t need specialized envelopes to do this. Put invitations in regular envelopes and do the writing on your own. 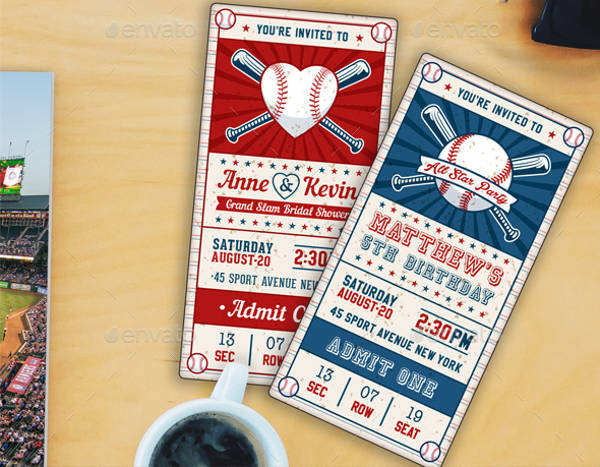 Hand out an eye-catching invitation with your love for baseball poured out on it following the basic tips above.